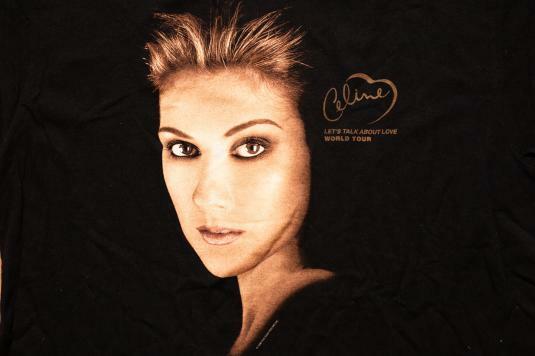 Vintage 1990s Celine Dion graphic t-shirt from her 1998 concert world tour; made in Dominican Republic. It is in excellent vintage condition and seems to have been worn very minimally, if at all. Era: Vintage 90s – ©1998 Five Star Feeling Inc.
Actual Size: Modern XL? – Length 30.5″ – Pit to pit 22.5"